Dealer Spotlight – Homestead Lawn & Tractor Co.
Kioti Tractors > Press Release > Dealer Spotlight – Homestead Lawn & Tractor Co.
Cleveland, TN – With 21 years in business and over 200 years of combined experience in the sale of outdoor power equipment, Homestead Lawn & Tractor Co. is easily one of the most qualified dealerships in Southeastern, Tennessee. Owner, Neil Groothuis, along with his team of 6 service technicians and 18 employees, has a wide range of expertise in the sales, partsand service of equipment including compact and utility tractors, residential and commercial mowers, utility vehicles, skid-steer loaders and compact excavators. What started out in 1992 as a small dealership with a few, select equipment brands, has since turned into an expansive “super store”. 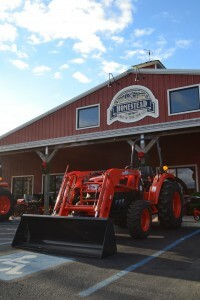 Homestead Tractor carries multiple lines of high quality equipment while providing extensive parts and service support. It was not until speaking with successful KIOTI Tractor dealers in other markets that the Homestead Tractor staff was satisfied with any of the prospective brands available. “We heard great things from other dealers about the KIOTI Tractor line,” states Groothuis. “That really spiked our interest because dealers don’t sugarcoat things.” In 2012, Homestead Tractor officially became an Authorized KIOTI Tractor Dealership. After receiving and assembling the first shipment of KIOTI tractors, the Homestead Tractor staff was immediately impressed. The quality of the equipment and the many features that come standard on all KIOTI tractors made it evident quickly that the evaluation resulted in a strong partnership. In just one year, sales of KIOTI tractors have taken off at Homestead Tractor. KIOTI customers include nursery and landscape contractors, municipalities and land owners, all of whom, appreciate the design and features KIOTI tractors have to offer. The best selling size class of tractors at the dealership so far, are those in the 30-50 hp range. Homestead Tractor is well-known in the Cleveland area and is often involved in various community events. 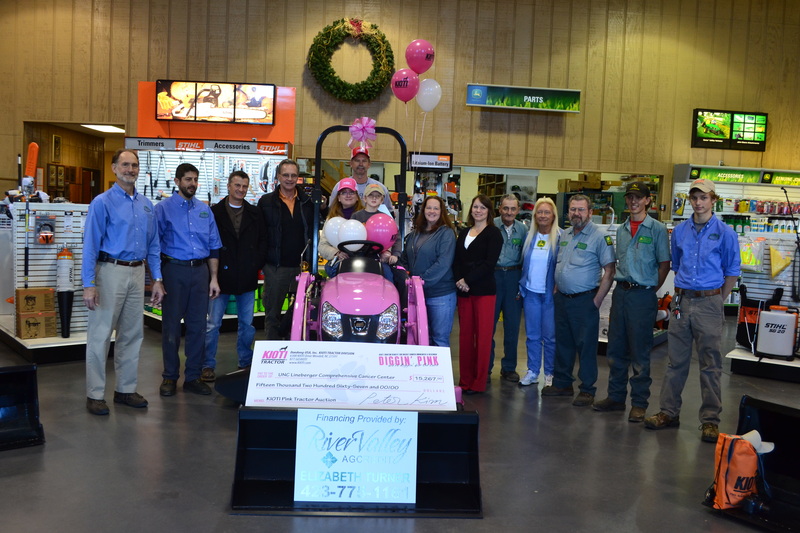 The dealership supports local fairs and festivals and most recently was the location for a KIOTI Tractor event where a CS2410 subcompact tractor, painted pink in honor of breast cancer awareness, was presented to the winner of a silent auction held at the Sunbelt Ag Expo. Homestead Lawn & Tractor Co. delivers excellent applications assistance, sales and product support to its customers. For this reason KIOTI has elected to spotlight them as a standout dealer. For more information on Homestead Lawn & Tractor or KIOTI tractors and UTV’s, please call 888-458-2686 or visit www.homesteadsuperstore.com.